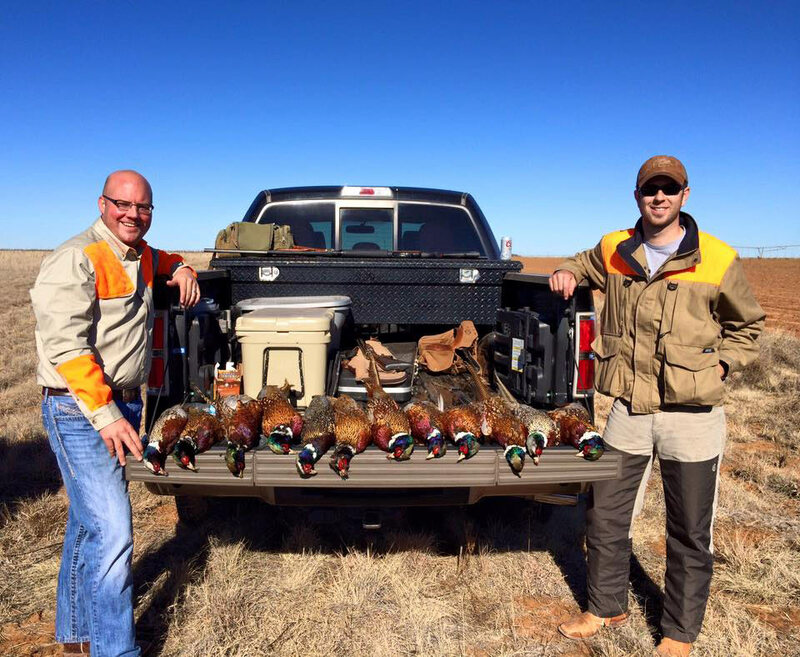 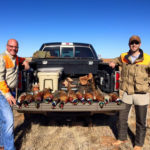 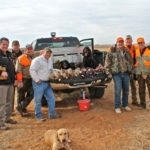 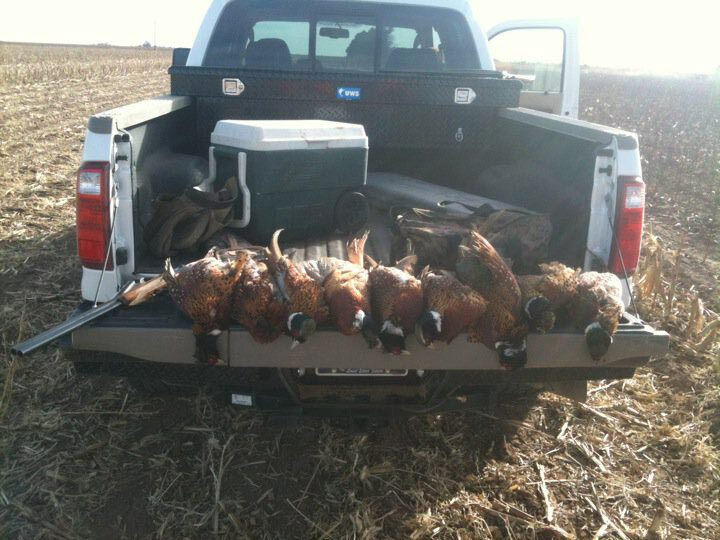 Pheasant hunts are conducted North of Lubbock in CRP fields, lake bottoms, tree rows, and edges of grain fields. 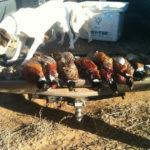 Finally, we are out of the drought and our birds have had several years of great hatches. 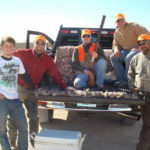 We do supplement our population but most of the birds we kill are wild and native. 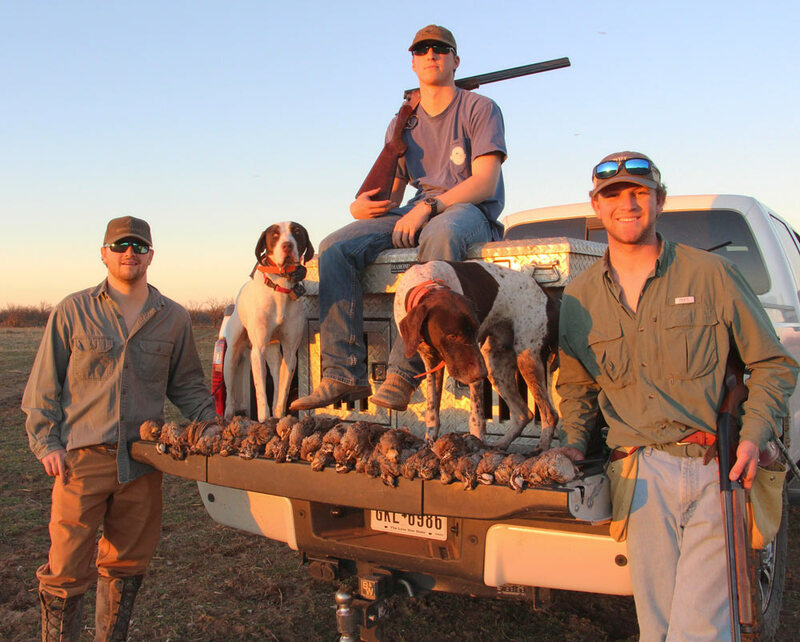 We use English pointers, German shorthairs, and Labs to point, flush and fetch birds. 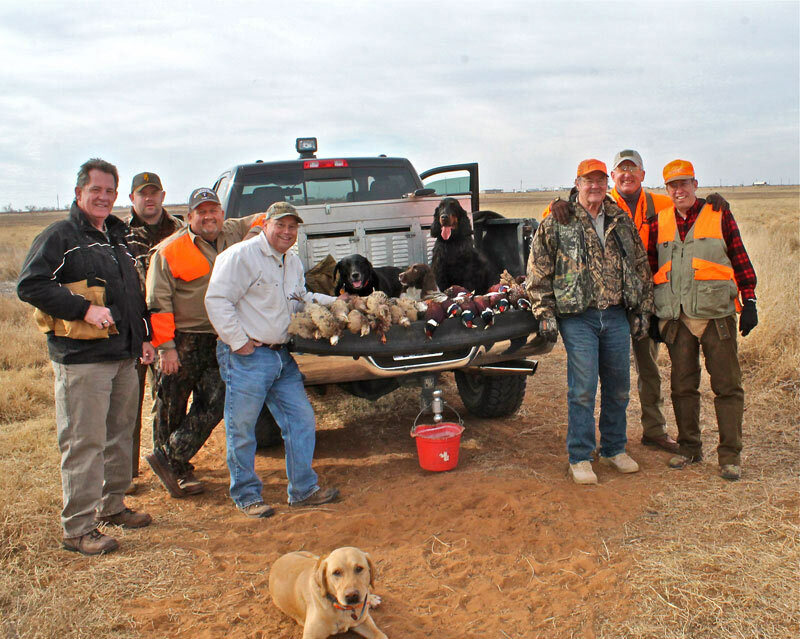 Hunts typically start at 7:30 am and run until lunch time or limits have been reached. 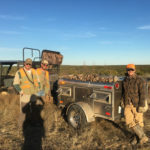 The quail have made an incredible recovery on the farm land and in 2015 we killed a bunch of quail while pheasant hunting. 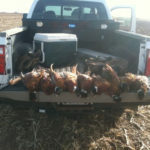 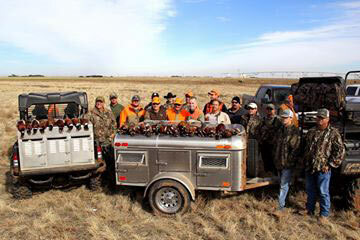 This year will be even better for our quail and pheasant numbers.We now offer preserve hunts all year. 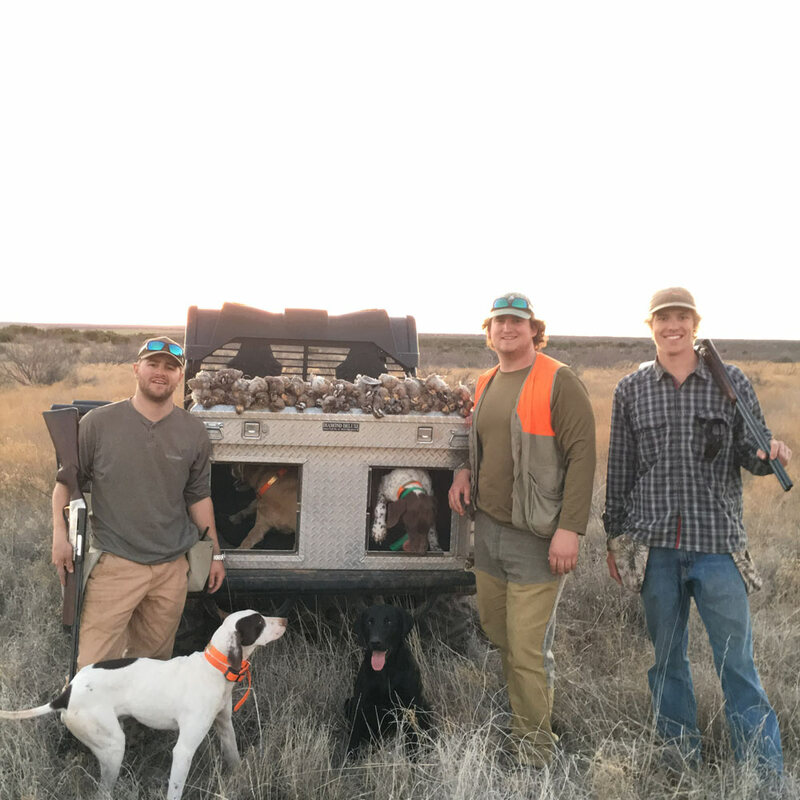 With the lack of native birds in the Texas Panhandle, this is a nice option to bring your friends and kills some great flying birds any time of the year. 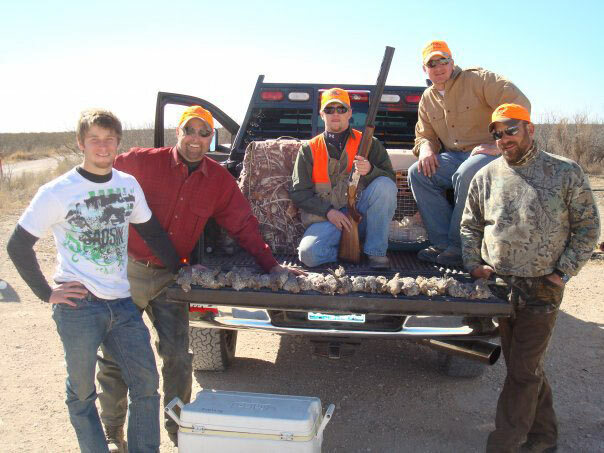 If you would like to make it a pheasant/quail combo hunt price will be $325 per gun. 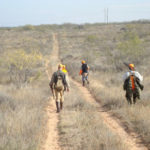 Minimum of 5 hunters are required to book this hunt. 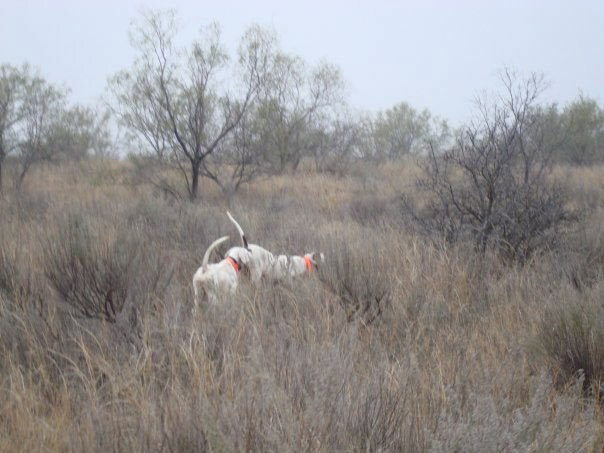 We have over 37,000 acres in West Texas and New Mexico that are covered in birds this year. 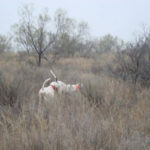 We have had three hatches on several of our ranches. 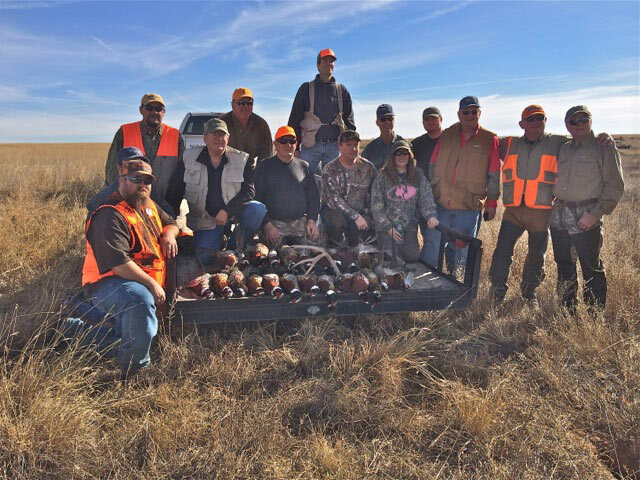 The birds have made an incredible recovery with huge numbers for this year. 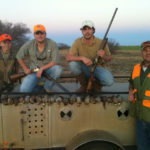 We have blue quail and bob-white quail on our properties. 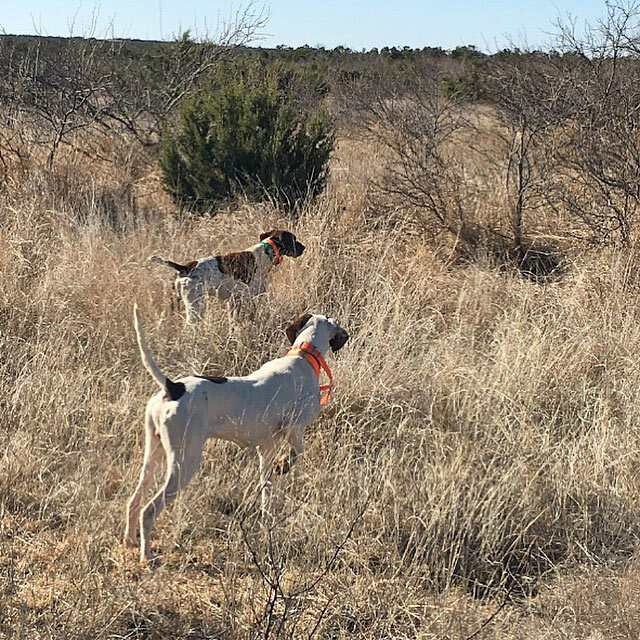 Some properties are exclusively one or the other and others have both. 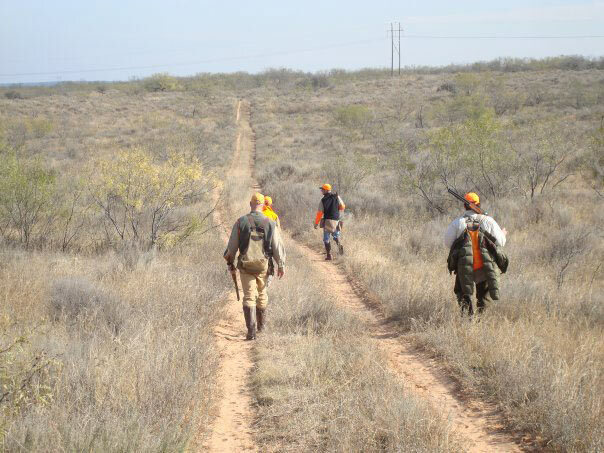 Let us know what species you are targeting and we can put you on the right property. 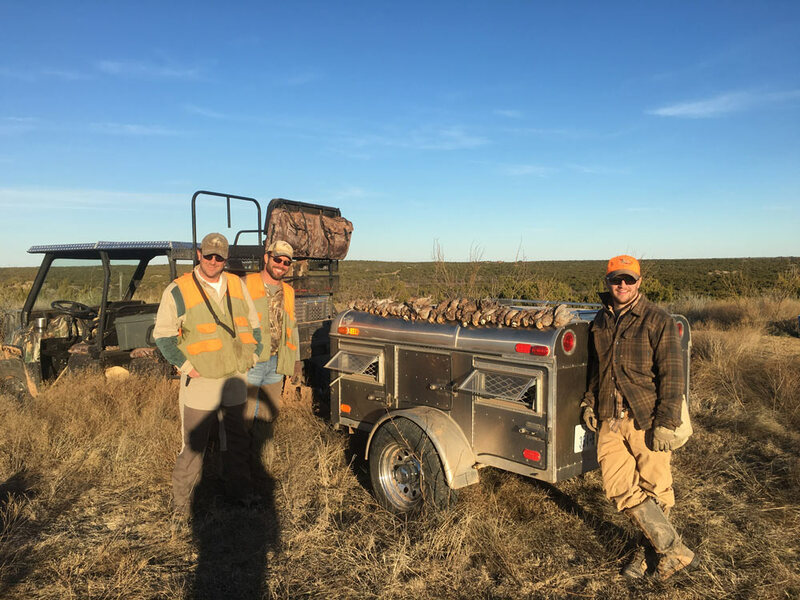 On our Ranches West of Lubbock, we will start booking after mule deer season or December. 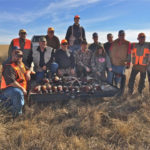 On our Ranches to the East, we will start booking after whitetail season or January. 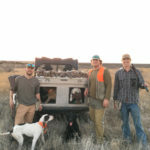 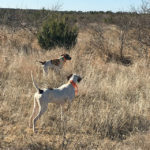 Hunts are run with English pointers, German Shorthairs, and Labs. 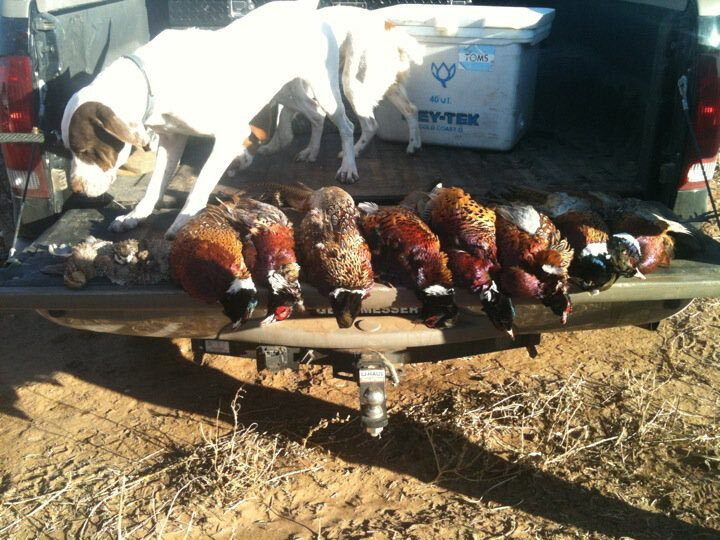 Hunts are conducted from rangers so we can cover more ground easily and transport our dogs. 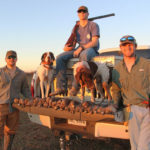 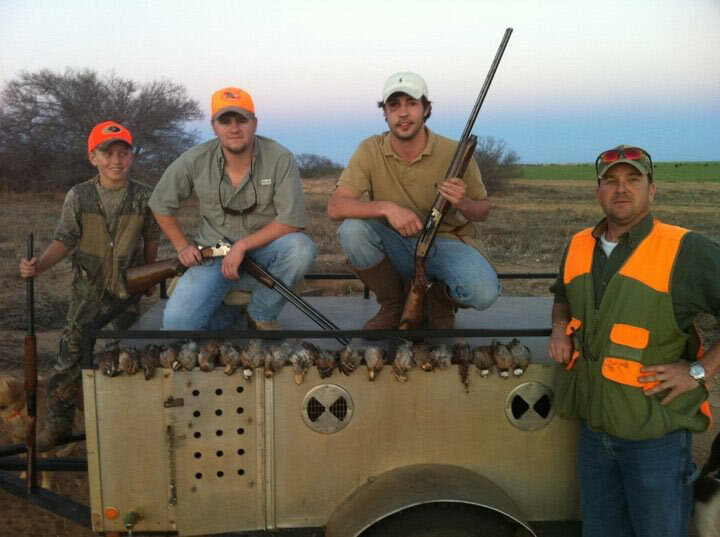 Minimum of 3 hunters are required to book a quail hunt with a maximum of 6 hunters.